PRATT – Kansas has certified 535,901 students in Hunter Education since the program’s inception 42 years ago and has done so without paying one person to teach a class. The program, which is carried out by more than 1,200 volunteer instructors across the state, is unique in that it is fueled by passion, not payment. Volunteer instructors, some of whom have devoted the better portion of their lives to share their love of the outdoors with youth, are what make the program possible. It’s because of this unfaltering dedication from volunteers that the Kansas Department of Wildlife, Parks and Tourism annually recognizes six special instructors for their contributions. Dennis Vincent, a veteran instructor of 25 years, has been named the “2014 Instructor of the Year” and for those that know him, that comes as no surprise. Vincent will receive a certificate and a 2015 CZ Sharp-Tail 20 gauge side-by-side shotgun as tokens of appreciation for his dedication. Each regional winner will also receive a certificate of appreciation and a TriStar Viper G2 Synthetic Semi-Automatic 20 gauge shotgun. 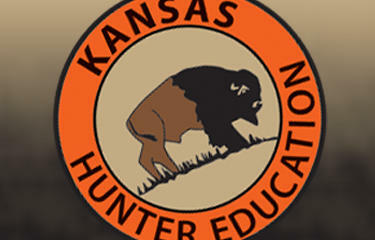 For more information on the Hunter Education program and its volunteer instructors, contact program coordinator, Kent Barrett, at [email protected].